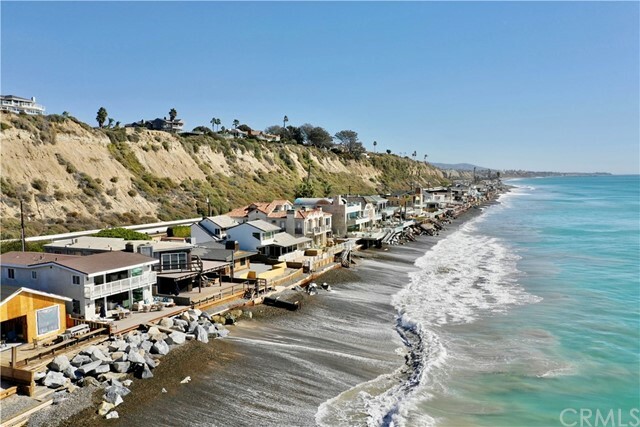 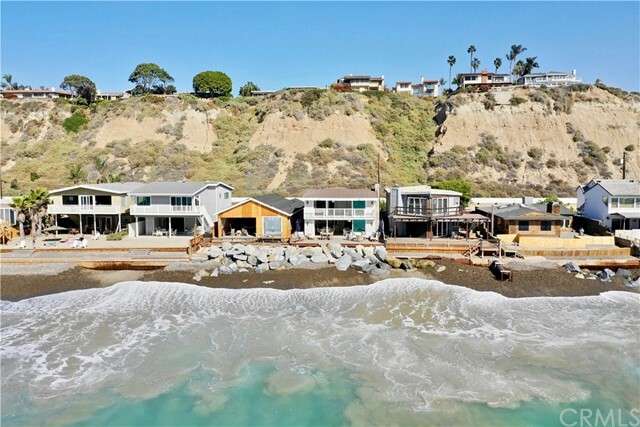 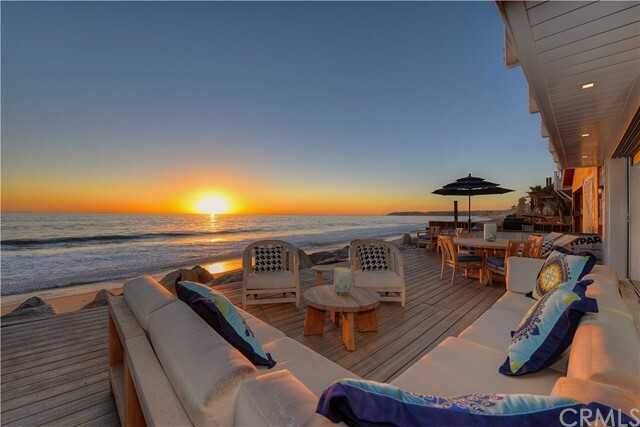 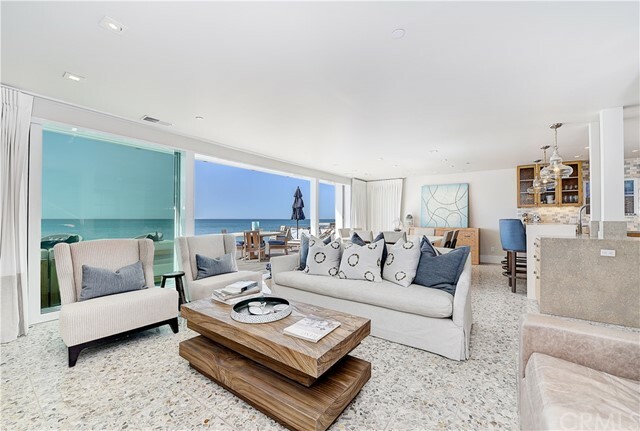 Elegant and sophisticated define this modern resort style home in an exclusive guard gated community in Capistrano Beach. 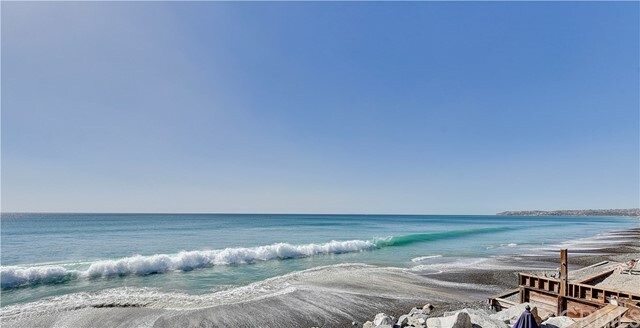 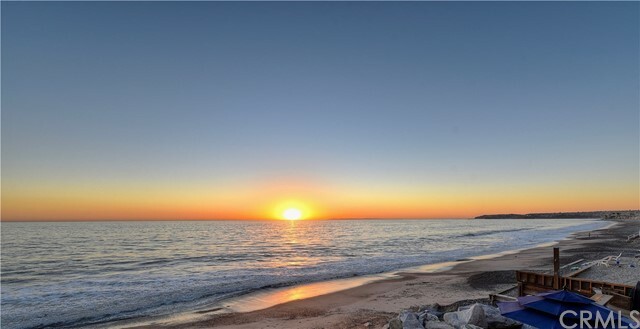 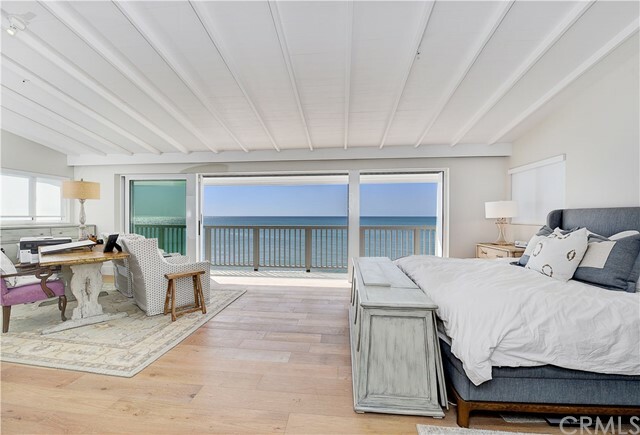 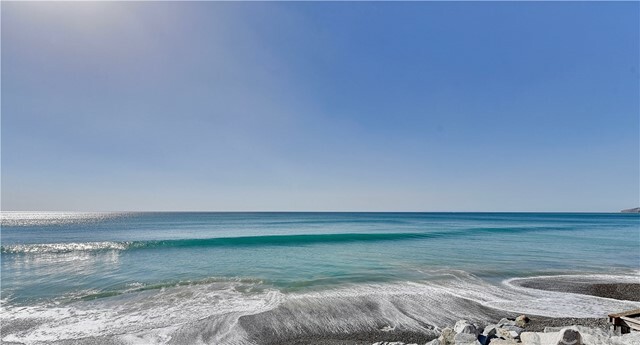 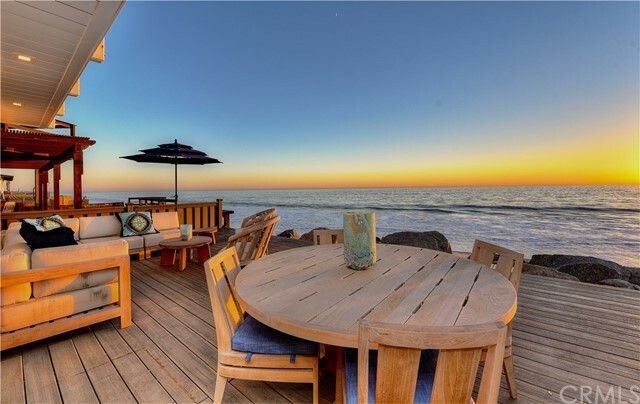 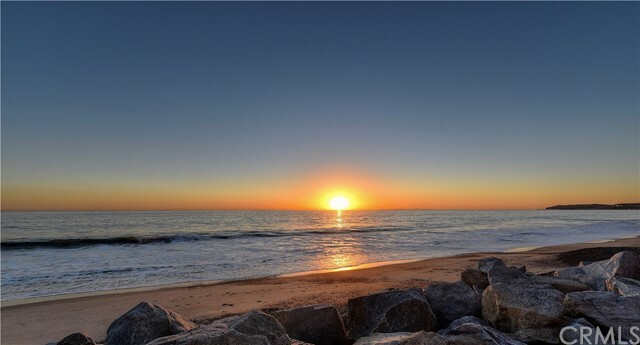 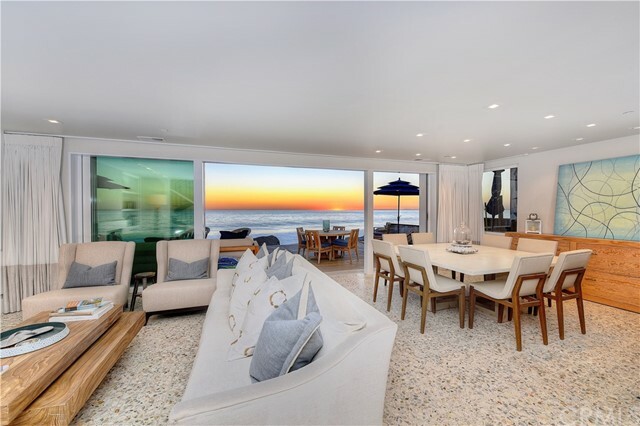 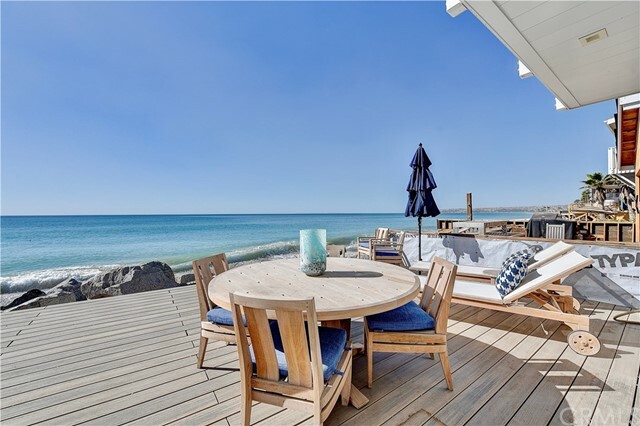 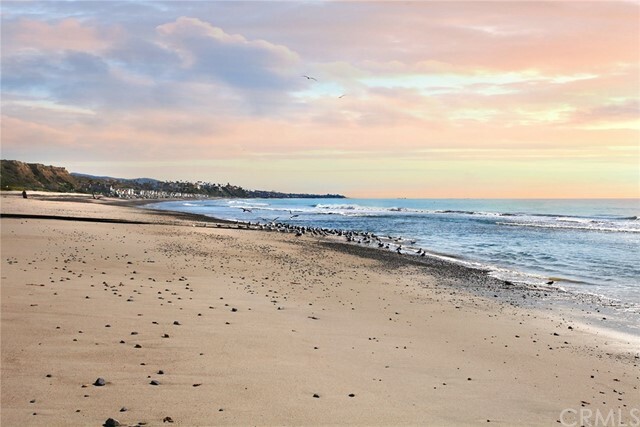 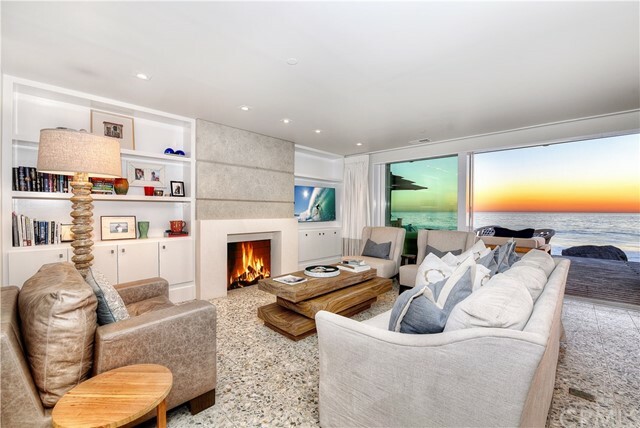 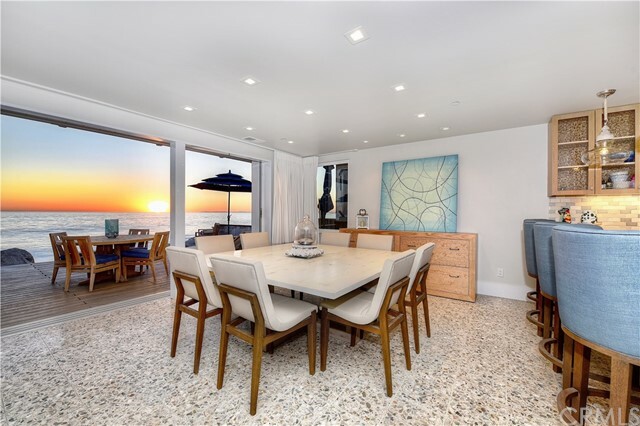 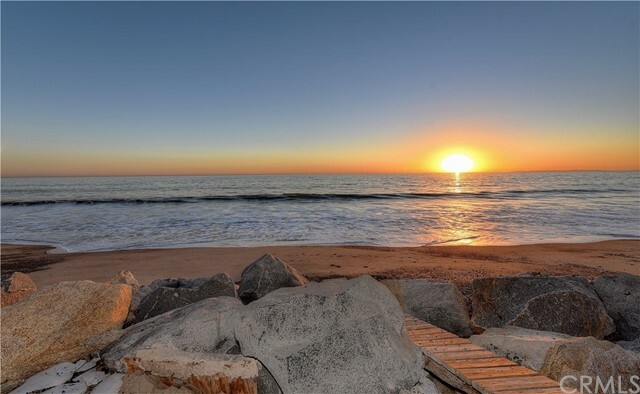 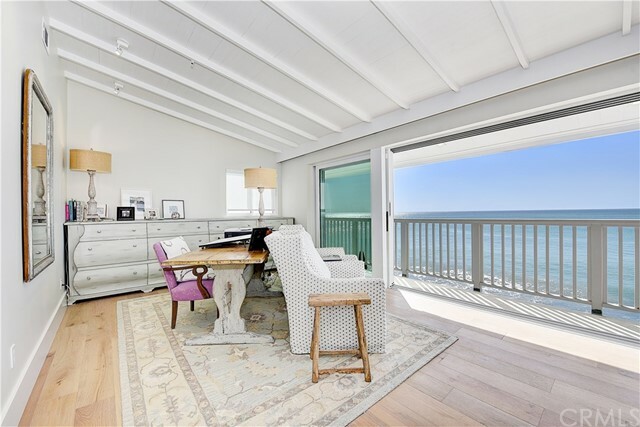 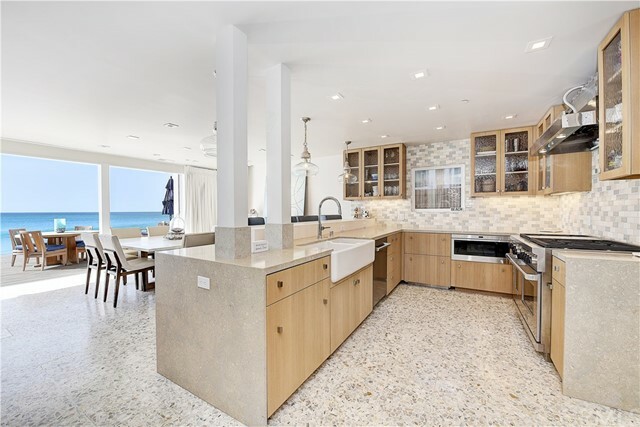 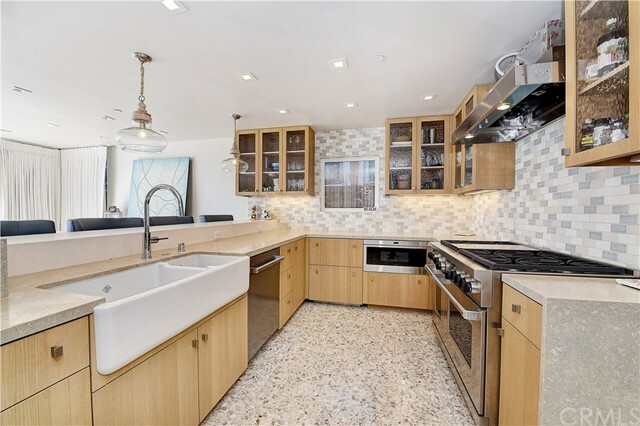 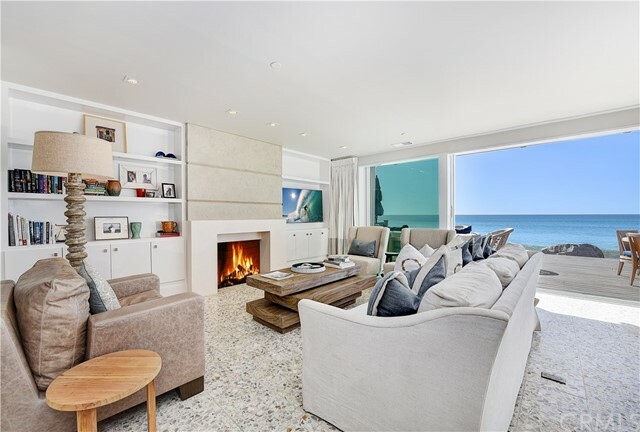 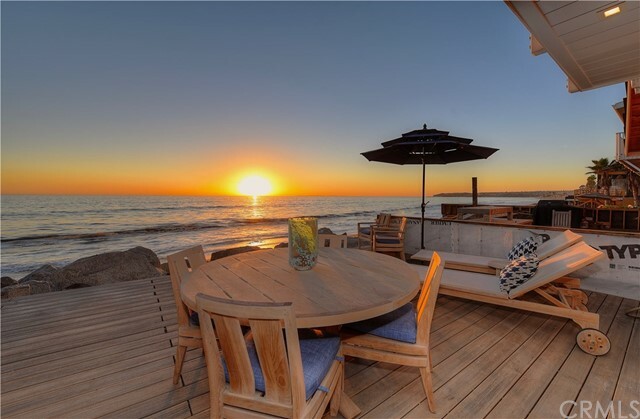 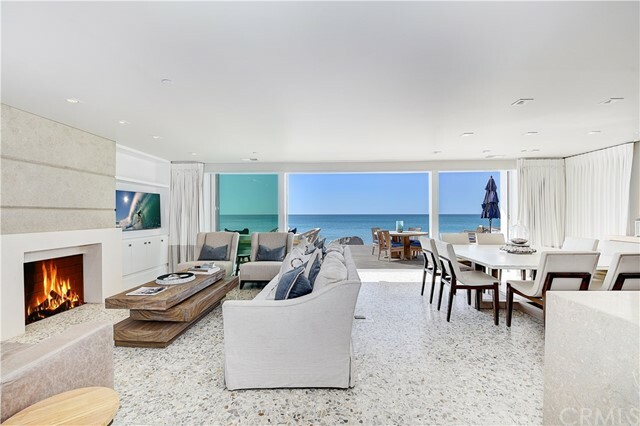 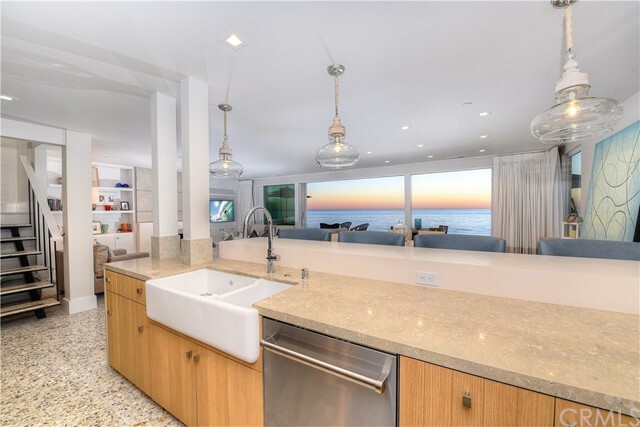 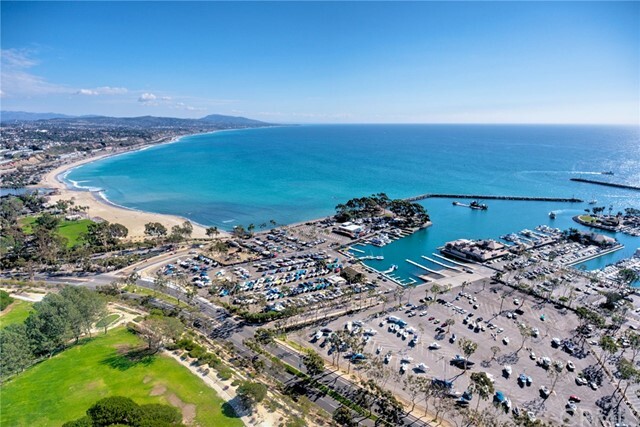 Situated on the sand on prestigious Beach Road, this extensively renovated coastal residence with unobstructed ocean views including its own private beach, exemplifies clean coastal style and airy luxury. 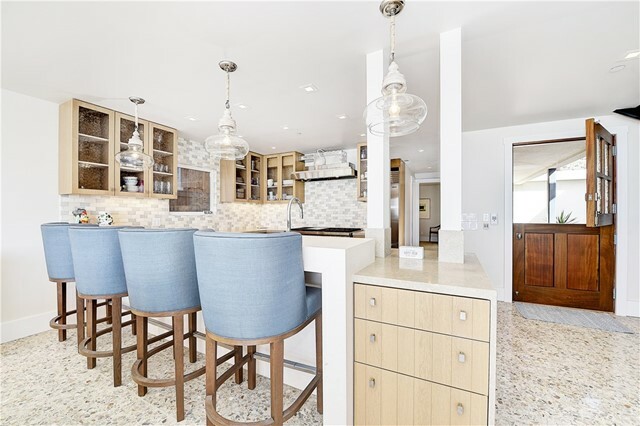 This 4 bed, 4 bath residence features floor to ceiling, wall to wall disappearing doors in Great Room and upstairs master suite, custom wood Dutch front door, new light fixtures throughout, beautiful upgraded bathrooms, interior louvered doors, motorized window treatments, and the strategic use of glass throughout to create a home that offers seamless indoor and outdoor living. 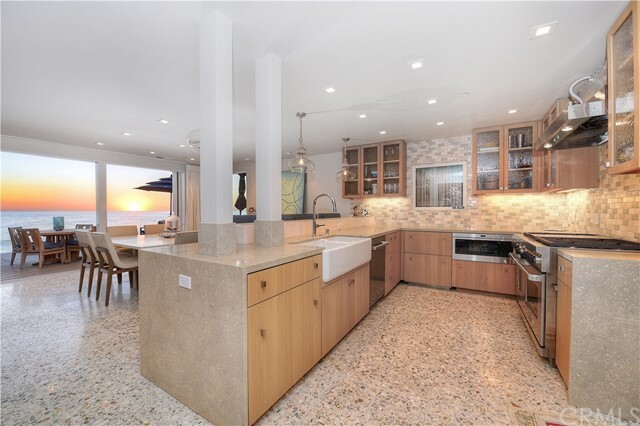 Floor plan includes Great Room with fireplace refaced with limestone and granite that opens to new chef’s kitchen offering limestone countertops, Wolf 48’ range with double oven and hood, dual Sub-Zero refrigerated drawers and refrigerator, double farm sinks, custom pantry and custom cabinets. 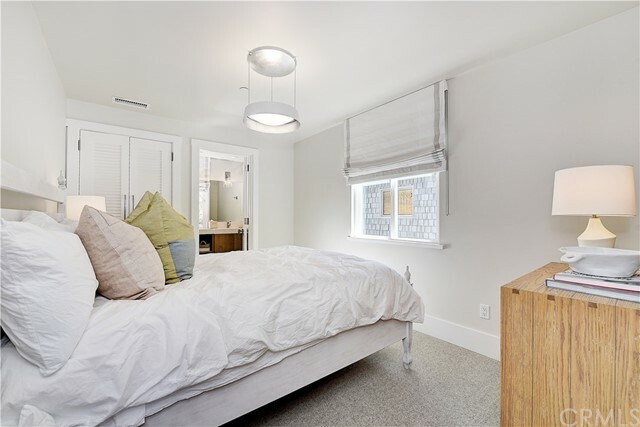 A main floor guestroom all newly decorated with closet, carpet and window treatment includes French doors that lead to the landscaped courtyard. 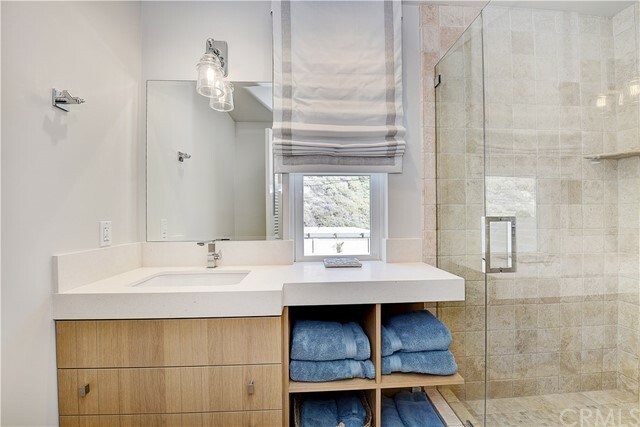 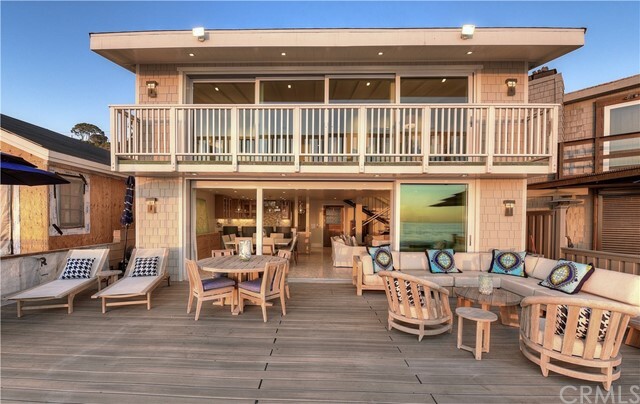 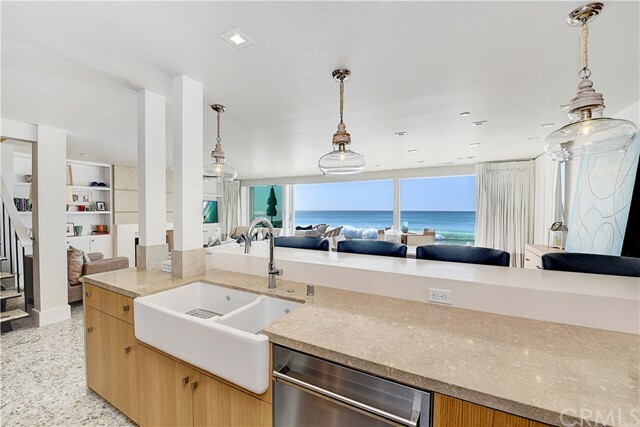 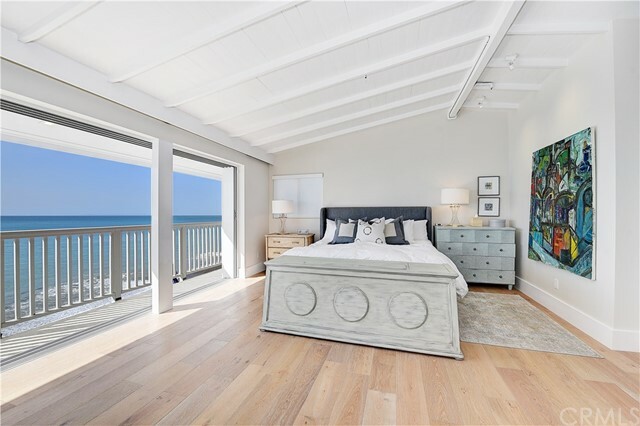 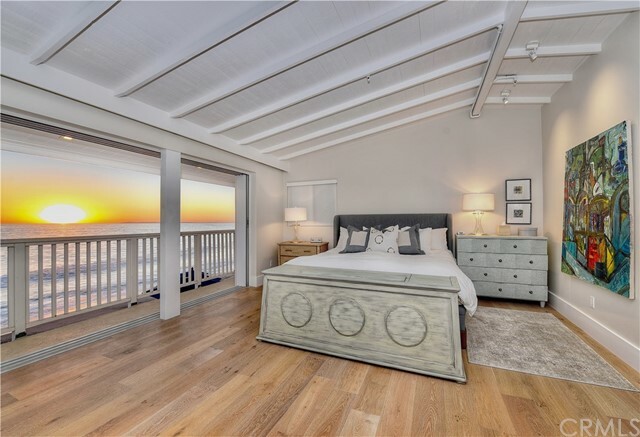 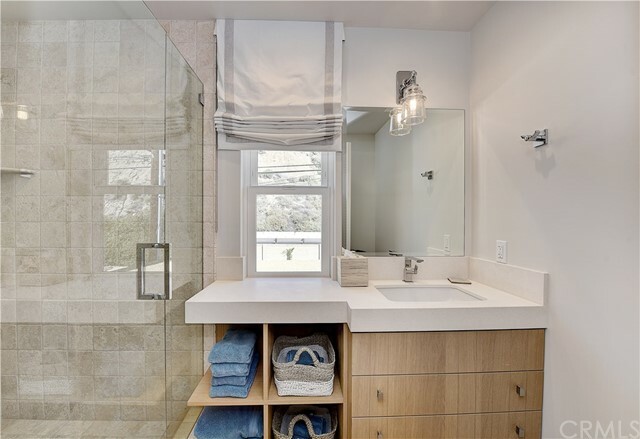 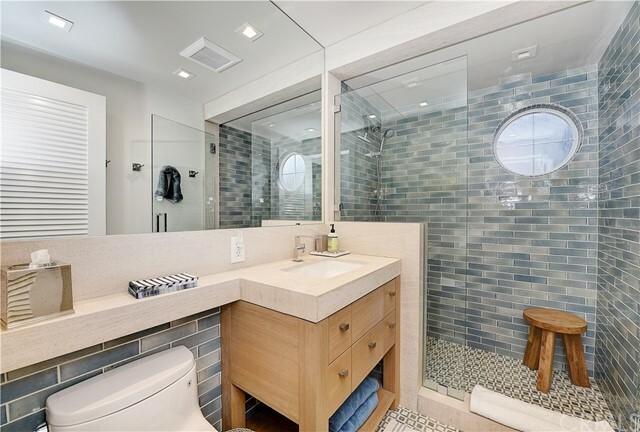 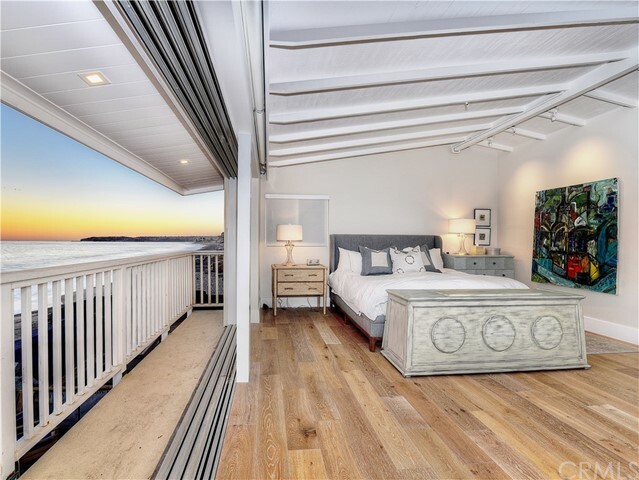 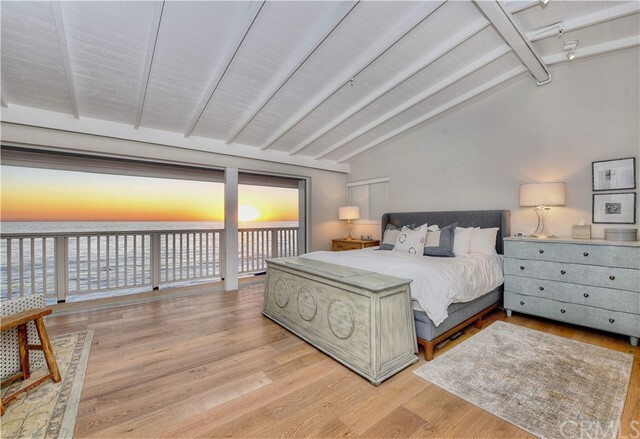 Upstairs, the master suite with sitting area and luxurious spa like bath with large shower, limestone counters, dual sinks and customized closet, has generous size balcony overlooking the deck below and panoramic ocean views. 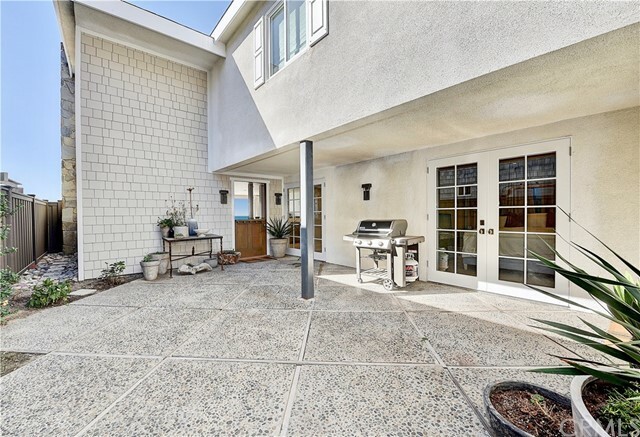 Outdoor amenities include new weatherproof deck, exterior light features, and 2 car garage + 4 private outdoor parking spaces.